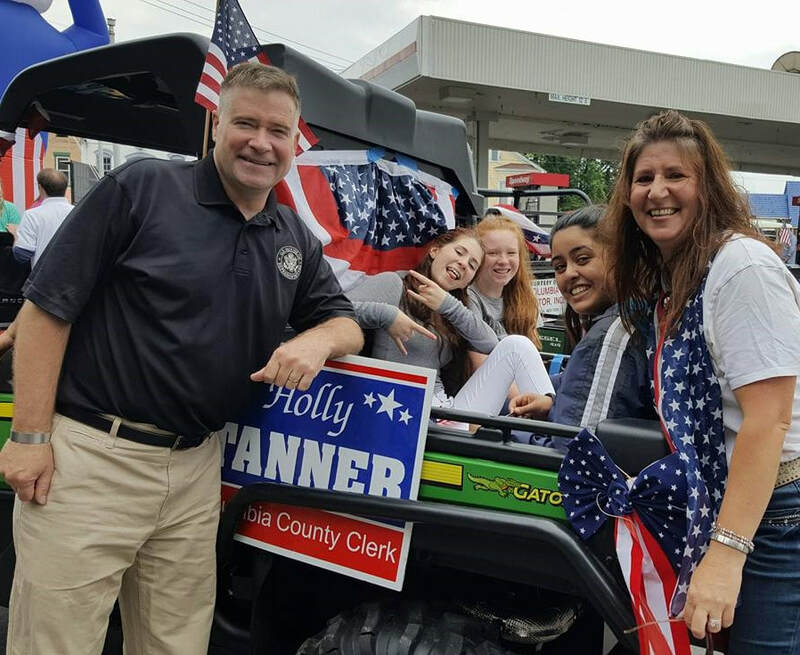 ​Professional service, efficient operations, and community service are the three things that drive Columbia County Clerk Holly Tanner. First elected in 2002, Holly has spent the last 16 years serving the people of Columbia County as their County Clerk. Transitioned the Clerk’s office records from paper to digital; public records are now available on-line with our recording system that is paid for out of mortgage tax expense money, saving county taxpayers over $150,000 over the term of the contract. Holly’s smart utilization of resources and staffing has amounted in approximately $80,000 in savings to the taxpayers. Holly has been able to save over $50,000 in her professional services budget line over a two year period and will continue saving. Conducts marketing campaigns aimed at increasing revenue by encouraging local residents to use the County DMV Office (as opposed to online transactions, mail-order, etc.). Holly insists her employees provide fast, friendly, efficient service with a personal touch. Oversaw the implementation and continued operation of the first wholly operational Inactive Records Center (IRC) for all county departments. This fully functional, secure Center stores thousands of documents for county departments, saving them time and money. The County IRC is wholly subsidized by the mortgage tax expense monies, meaning it does not cost taxpayers one cent. We buy supplies for departments and coordinate the safe, secure storage and retrieval of their inactive records, for the life of the record. We also coordinate centralized document destruction, saving the county and we include the towns in this process to help them be more cost efficient. The entire basement of the IRC was paid for out of grant monies obtained by Clerk Tanner and also with mortgage tax money. The IRC has expanded operations to include the scanning of paper documents, helping to eliminate the need for expensive storage. Holly plans and is currently working on also offering this service to local municipalities as well. Holly began the Find and Assist Vets on Record (FAVOR) program; an identification card program to encourage county veterans to file their separation papers with the County Clerk. Upon filing, a unique ID card is issued to each honorably discharged resident veteran for use at area businesses to receive a discount of the businesses choosing. This not only assists the veteran but helps promote local businesses. Holly began the KISS program – Keep Identities of Seniors Safe – a free document destruction program for seniors over 60 in each town in Columbia County. Program paid for solely by mortgage tax revenue so there is no cost to taxpayers. Since this program’s inception over 40,000lbs of sensitive documents have been shredded for county seniors, at no cost to them, the towns or the county taxpayer. 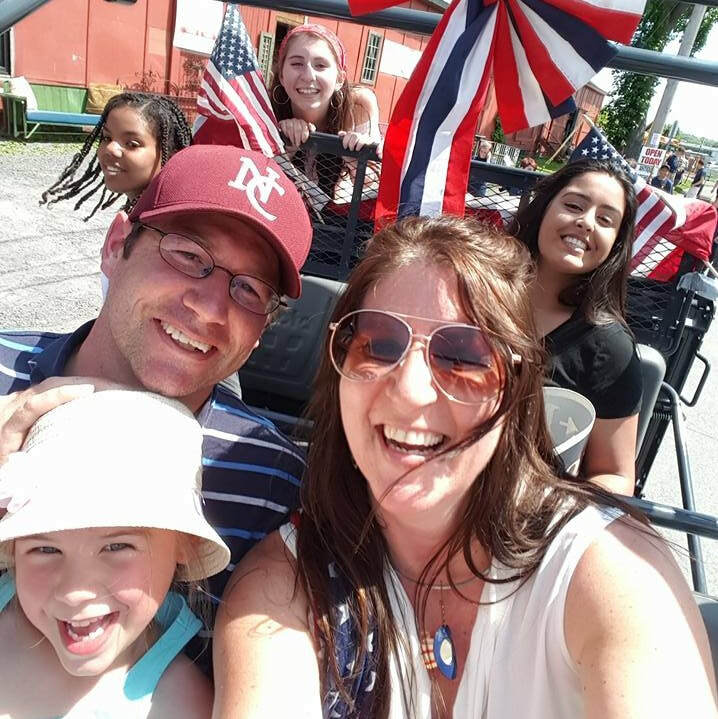 While President of the NYSACC, Holly oversaw passage of e-recording legislation, continued progression and expansion of e-filing legislation and historic passage of a resolution for an agreement between the Clerk’s Association and NYS DMV to revenue share internet DMV transactions. As co-chair of the state DMV Committee, Holly works very closely with state DMV leadership on any number of different issues facing DMV customers including equipment choices, Real ID communication, enhanced licenses, transaction processing, and acts as a liaison between state DMV leadership and the state Clerk’s Association. Holly is very active in her community. She currently serves as the President of the Hudson Lions Club, and is past Chairperson of the Advisory Committee for the Retired Senior Volunteer Program, past Chairperson of the United Way of Columbia and Greene Counties, and past Chairperson of the Columbia County Honor a Vet Committee. 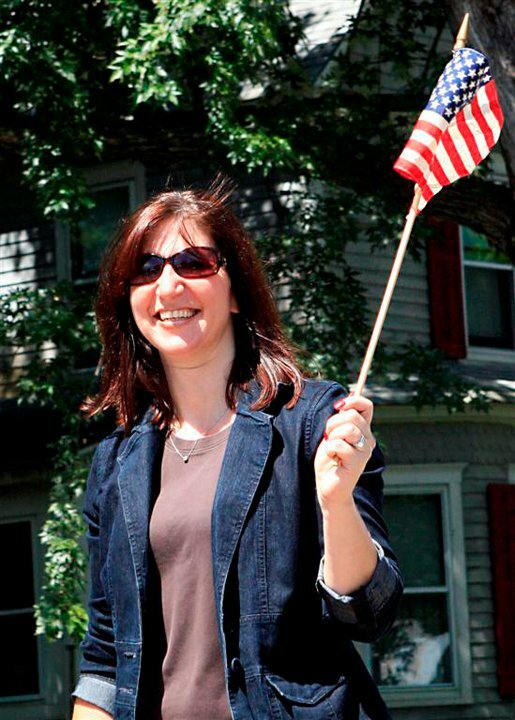 Holly also sits on the Hudson Flag Day committee and is still a member of the Columbia County Honor-a-Vet committee. Holly was awarded the 2012 Achievement Award from the NYS Assoc. of County Clerks, Clerk of the Year in 2011 by NYS Assoc. of County Clerks, the 2015 recipient of the Columbia County Good Scouting Award, the 2011 Lincoln Award, the Columbia County Conservative Party Recognition award in 2015 and the Columbia County Sportsmen Federation Recognition award in 2011.